College Credit for Manufacturing | Scientific Management Techniques, Inc. Founded in 1918, ACE is the major coordinating body for all the nation’s higher education institutions. ACE represents more than 1,600 college and university presidents and more than 200 related associations nationwide. Additionally, ACE provides leadership on key higher education issues and influences public policy through advocacy. 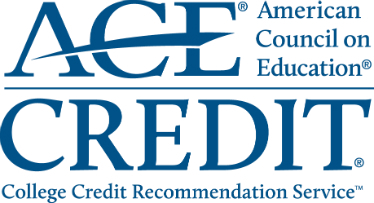 Colleges and universities trust ACE CREDIT® to provide reliable course equivalency information to facilitate their decisions to award academic credit. In addition, ACE has been providing this service in education for over 30 years. ACE CREDIT is recommending up to twenty-one credit hours (collectively) for the eight Manufacturing Skills Training Programs reviewed and up to three credits each for four assessment programs; Mechanical (2 assessments), Electrical and PLC assessments. A total of up to 12 credit hours for the Assessment Program. Two advanced training programs are currently being modified. We plan to re-engage with ACE in the near future for these curriculum components. “SWCC uses SMT as the centerpiece of industrial skills training for continuing education classes and customized corporate training. We are most proud to say that more than 1500 entry-level and incumbent employees have been trained using SMT’s curriculum. Those employees have worked for Unilever, Hershey, Electrolux, KTG, and many more"